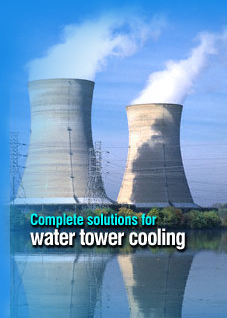 Harrison Cooling Towers: We provide a range of efficient cooling towers for our clients across the world. 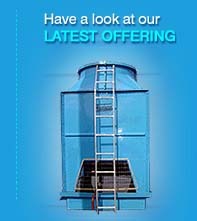 We are one of the leading manufacturers of FRP Square Cooling Towers that are compact. We are one of the leading manufacturers of FRP cooling towers that are compact, space saving and has three pass eliminator that limits the drift losses. Closed circuit Cooling Towers are hybrids that pass the working fluids through a tube bundle, upon which clean water is sprayed and a fan-induced draught applied. Harrison FRP cooling towers are available in three pleasing shades.